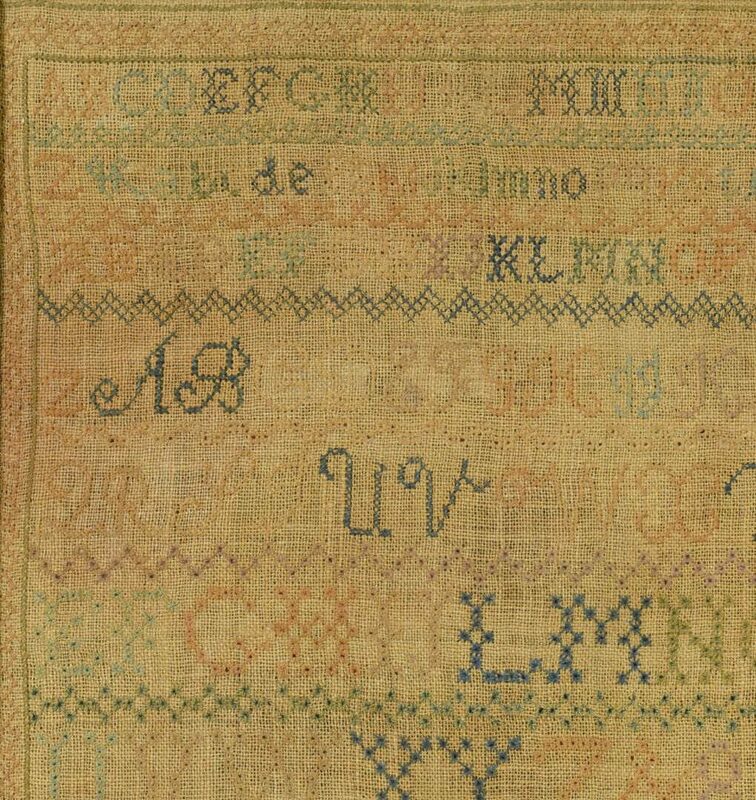 1824 Needlework sampler att. Kentucky, signed Sarah Shekels and dated 1824. 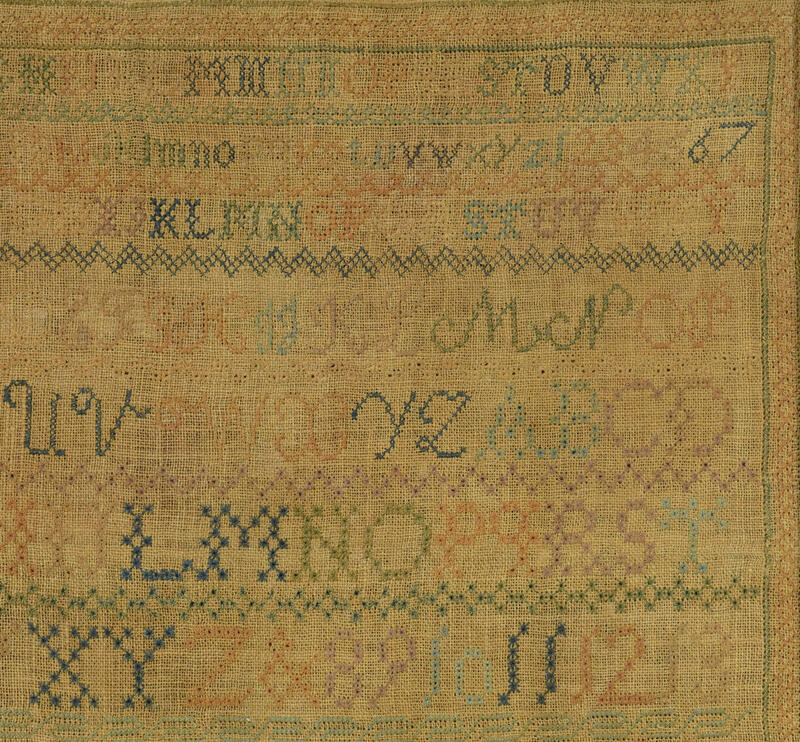 Features 5 alphabets of graduating size, divided by geometric borders in at least 4 varying kinds of stitches, over a verse, "Through an eterney (sic) to thee / a joyful song in verse / for a eternity is too short / to utter all thy praise." 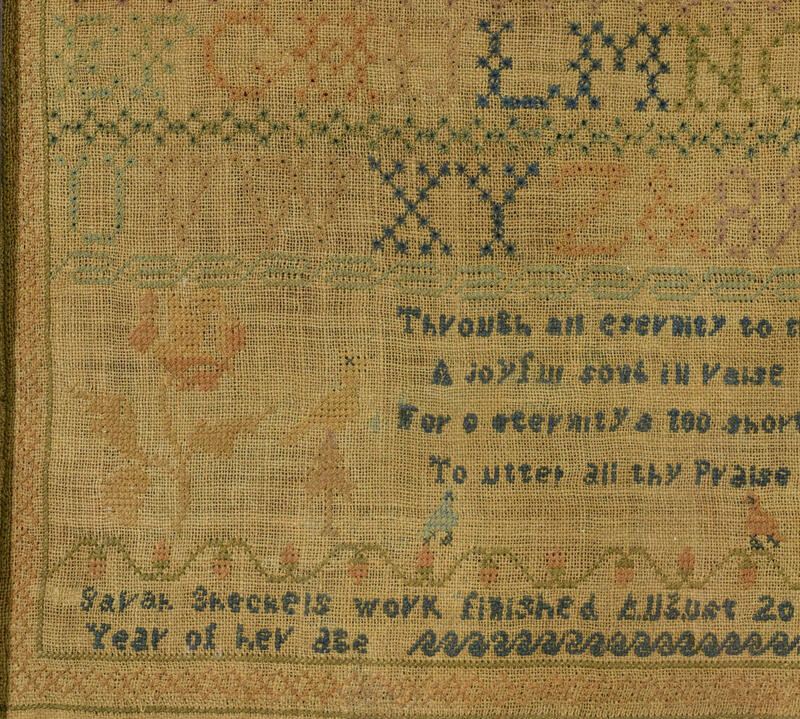 Verse is flanked by pictorials of two roses, a bird on a tree, 2 bluebirds and a redbird, and a basket of flowers, over a signature line reading "Sarah Shekels work finished August 20th 1824 in the 12th year of her age," all enclosed in a cross stitched X-form border. 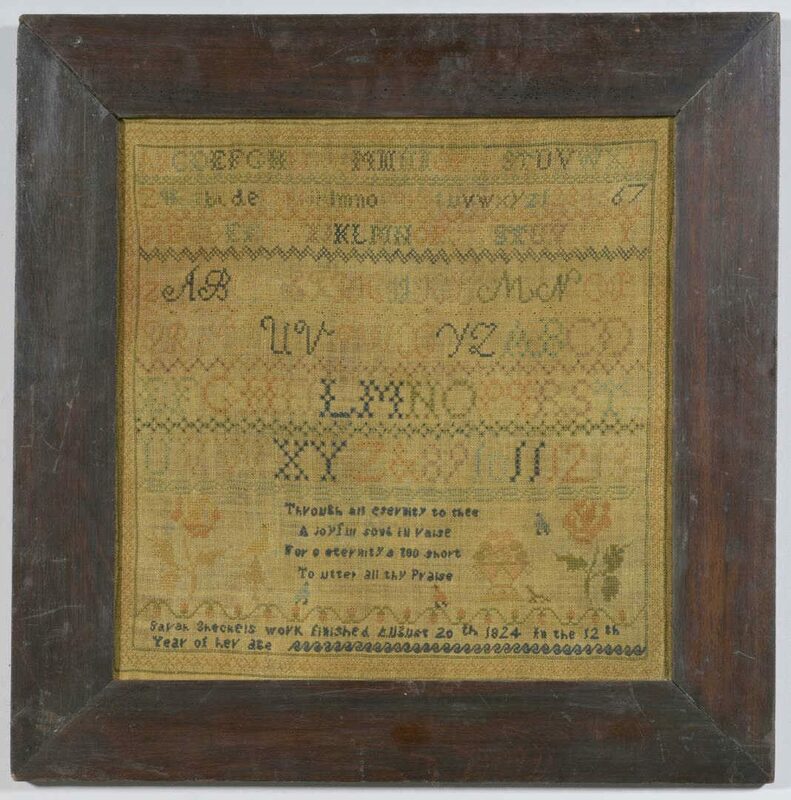 Old, possibly original stained wood frame. 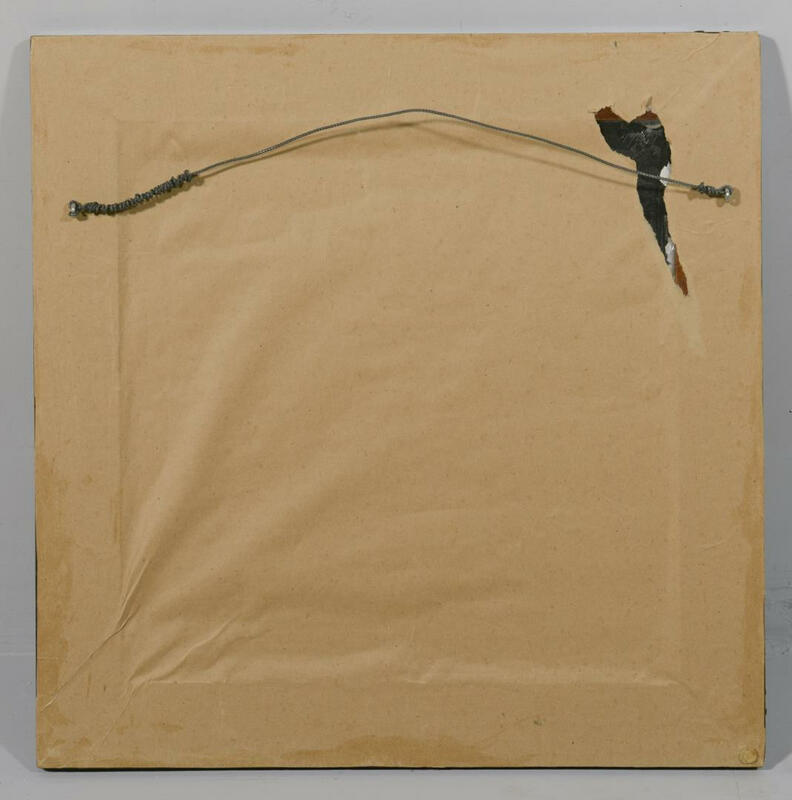 Sight – 16 3/8"H x 16 1/4" W. Framed – 22 1/2" H x 22 1/4" W. Accompanying packet of genealogical information. Sarah Sheckels' parents, Levi Sheckels and Sarah Hardwick, were married in Greenup County, KY in 1812. 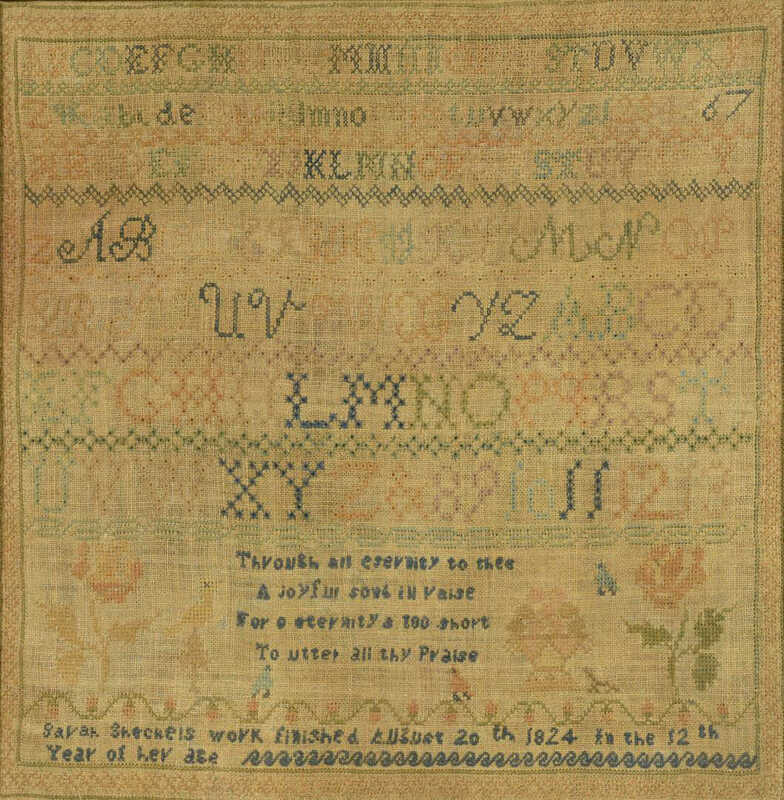 Their only child (Sarah Sheckels) was born in 1812 in Indiana, but by 1820 the family is listed as living in Elizaville, Kentucky (in Fleming County, near Maysville). 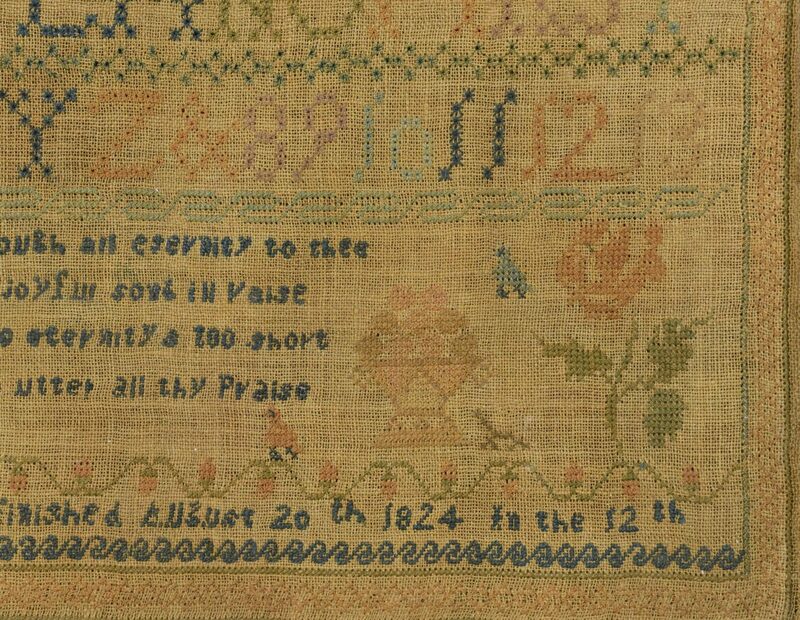 She married Bennett Cox on Nov. 26, 1834 in Lawrence County, Kentucky, where she lived the rest of her life. Sarah gave birth to four sons and two daughters before her untimely death in 1847 at the age of 34. CONDITION: Not examined out of frame. 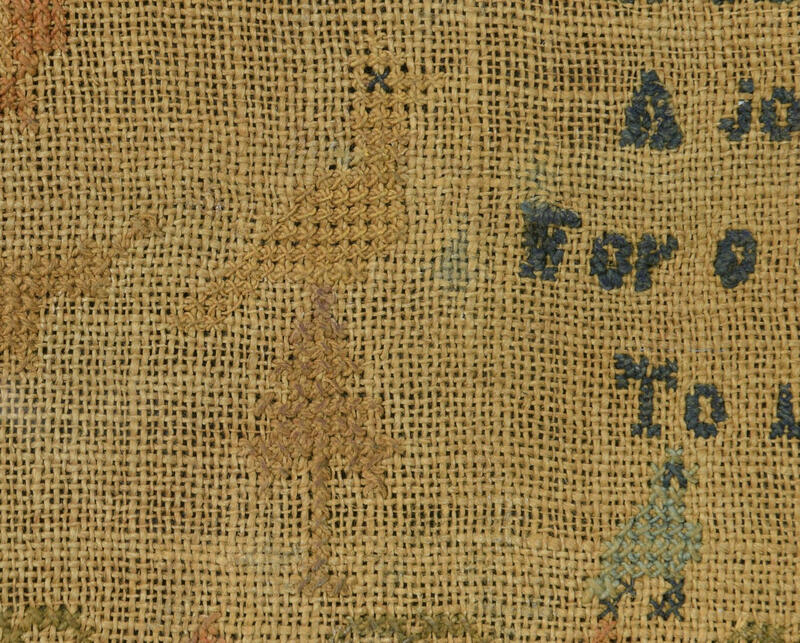 Even fading and toning. No apparent losses.